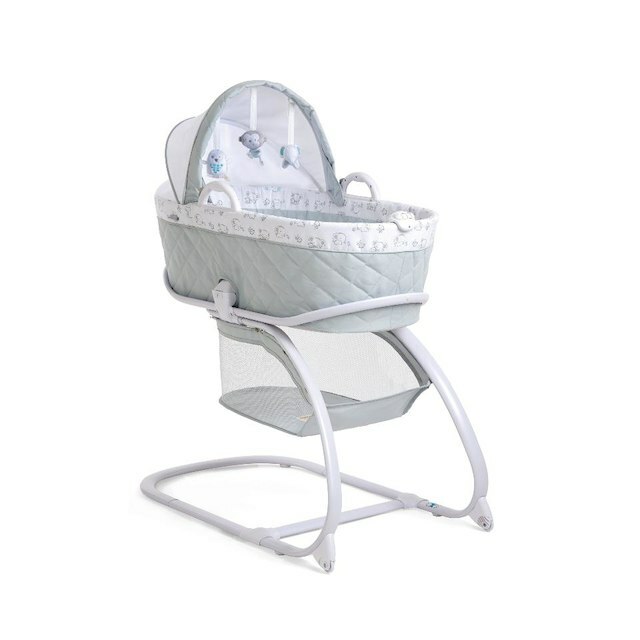 The Koala Baby Keep Me Near Bassinet in Gray is the perfect nursery accessory for your newborn's peaceful sleep. 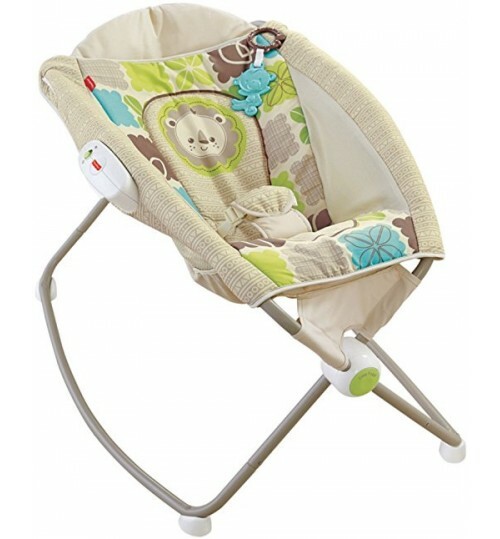 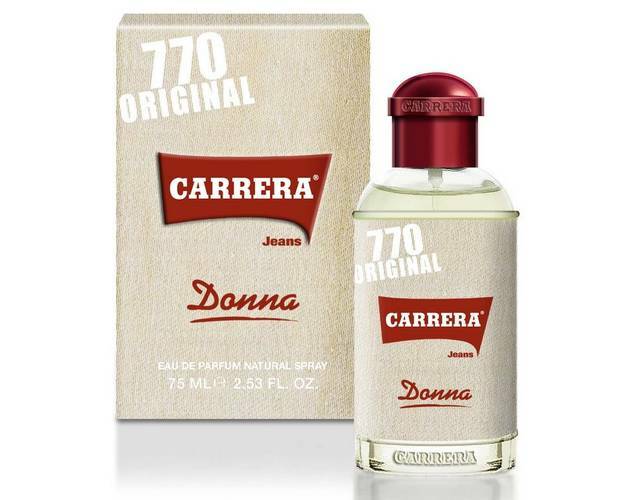 It's clean contemporary design offers an upscale presentation in any setting. 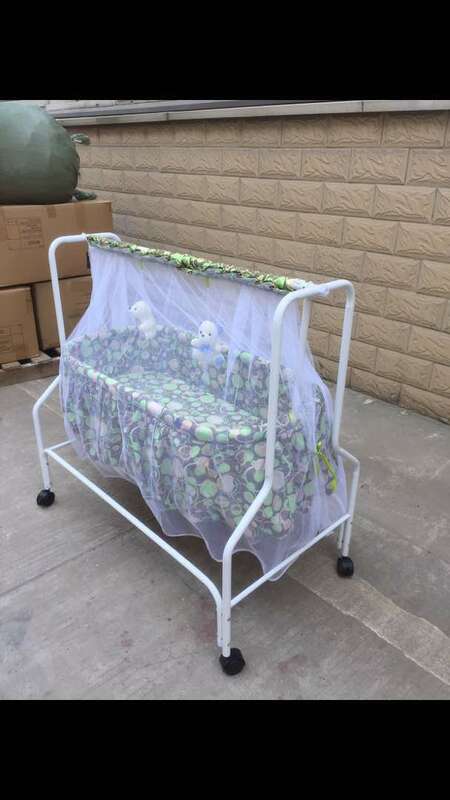 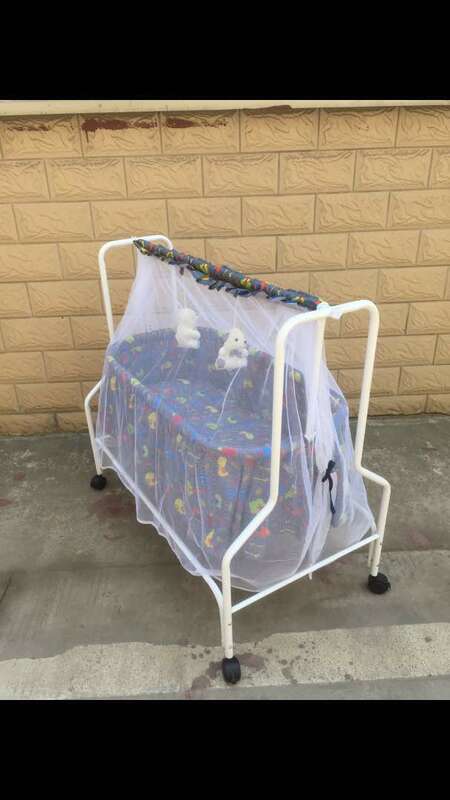 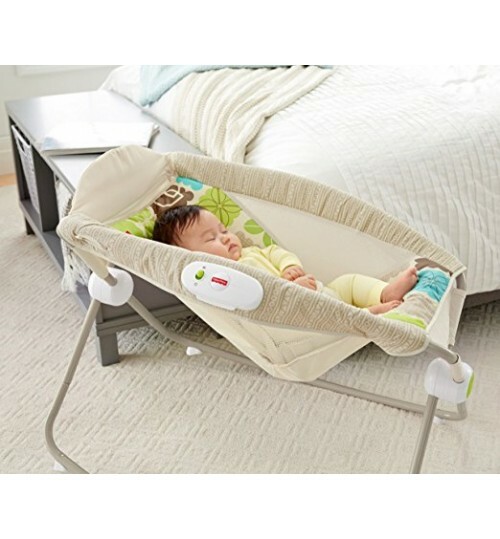 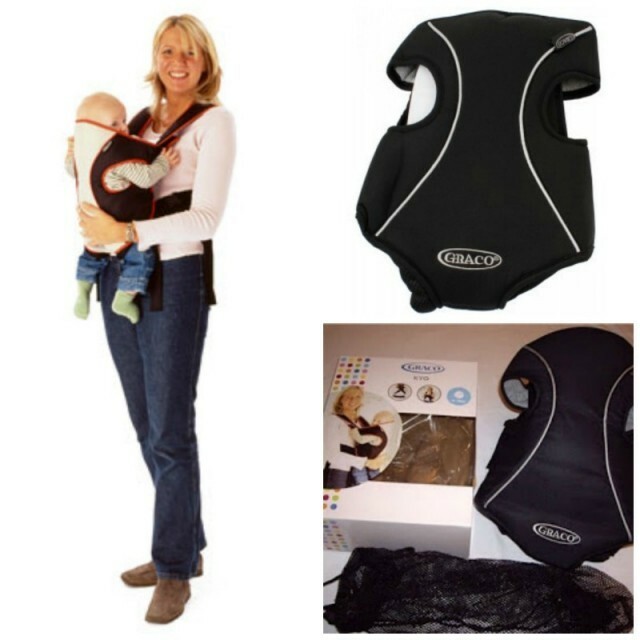 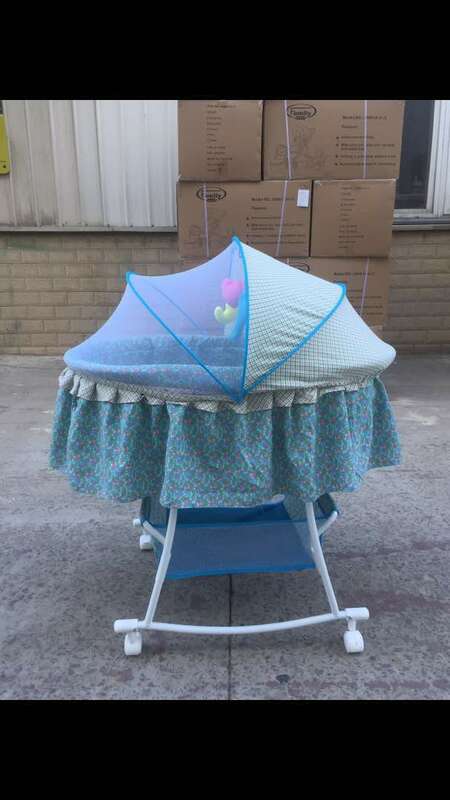 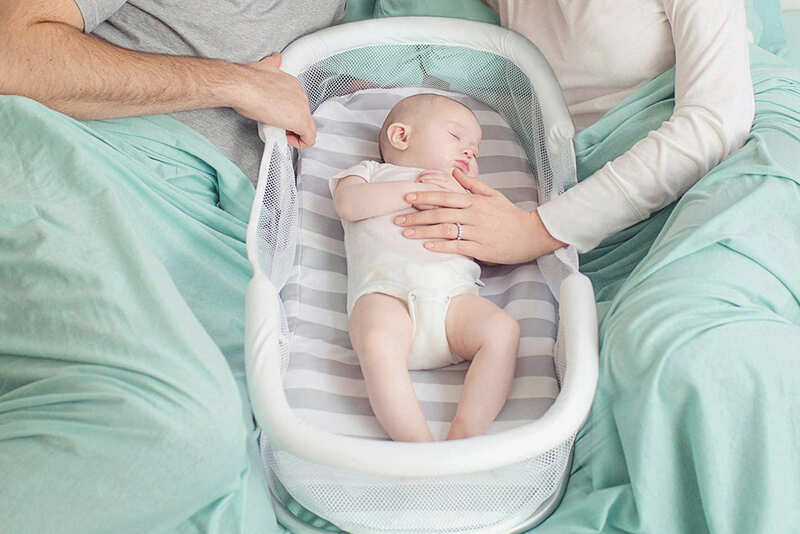 The innovative "Take-Along" bed design, allows easy removal of the sleeping area from the frame, so you can easily bring your Bassinet where ever nap time occurs. 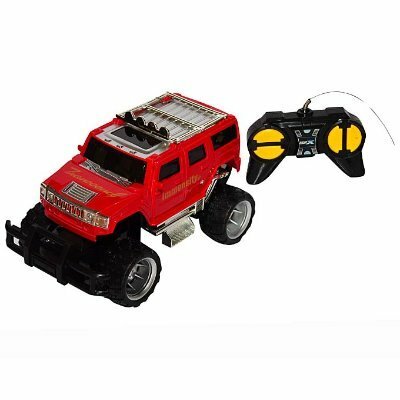 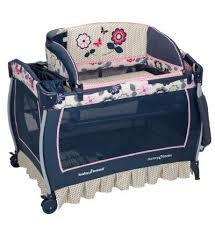 When returning the bed to the frame the "Auto Latch" feature makes sure all is safe and secure. 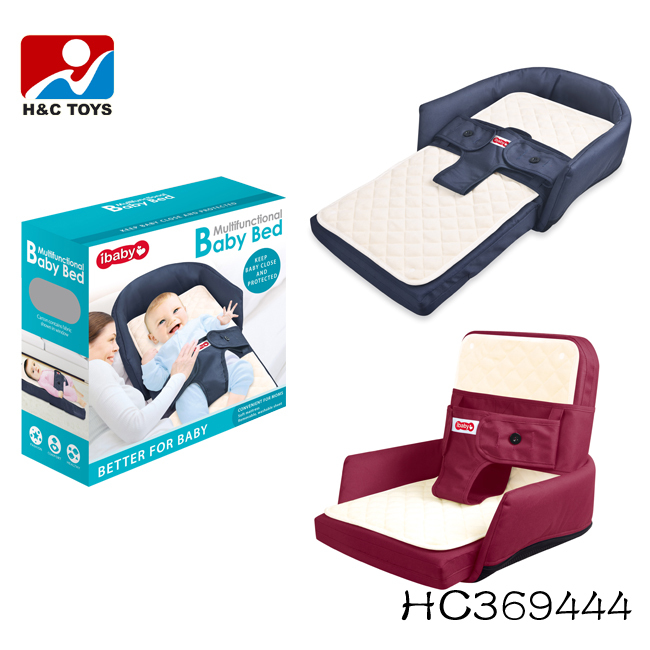 The sleeping environment is comfortable and inviting with its soft foam mattress, quilted side walls, hanging toys and deluxe entertainment system that offers: recorded sleepy time music, multi speed vibration, security check light and ambient nature sounds. 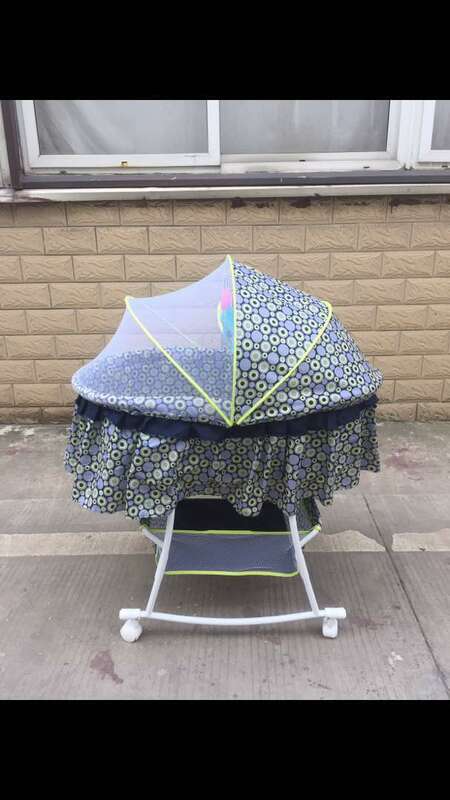 The "Cover Up" canopy offers light blocking protection for daytime naps. 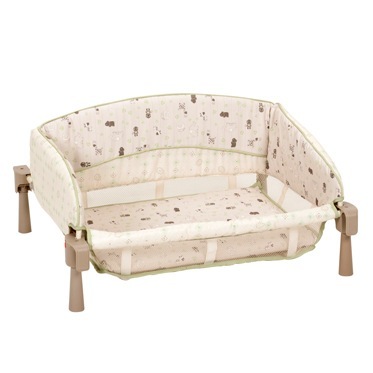 The "Within Reach" storage basket offers easy to get to, full size storage of your nursery needs. 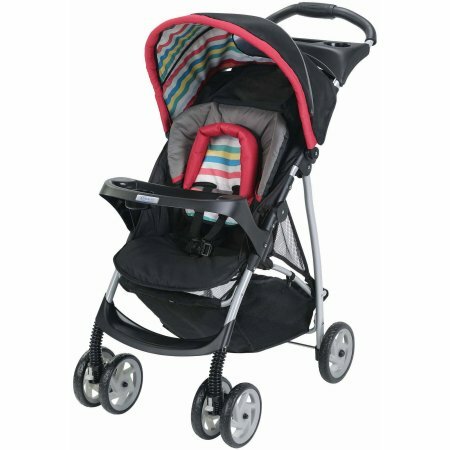 The sleek cantilevered frame even has wheels that allow it to be easily moved around, from room to room. 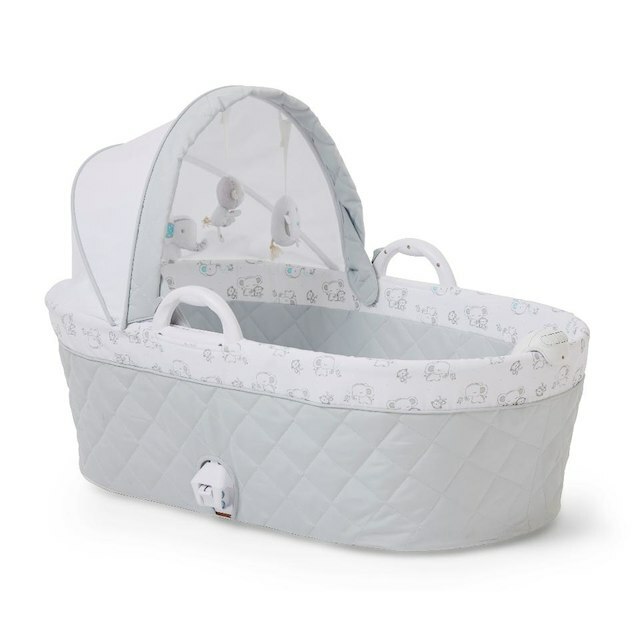 All in all the Koala Baby Keep Me Near Bassinet is the ideal sleep time bed for the beginning stages of your newborn treasure. 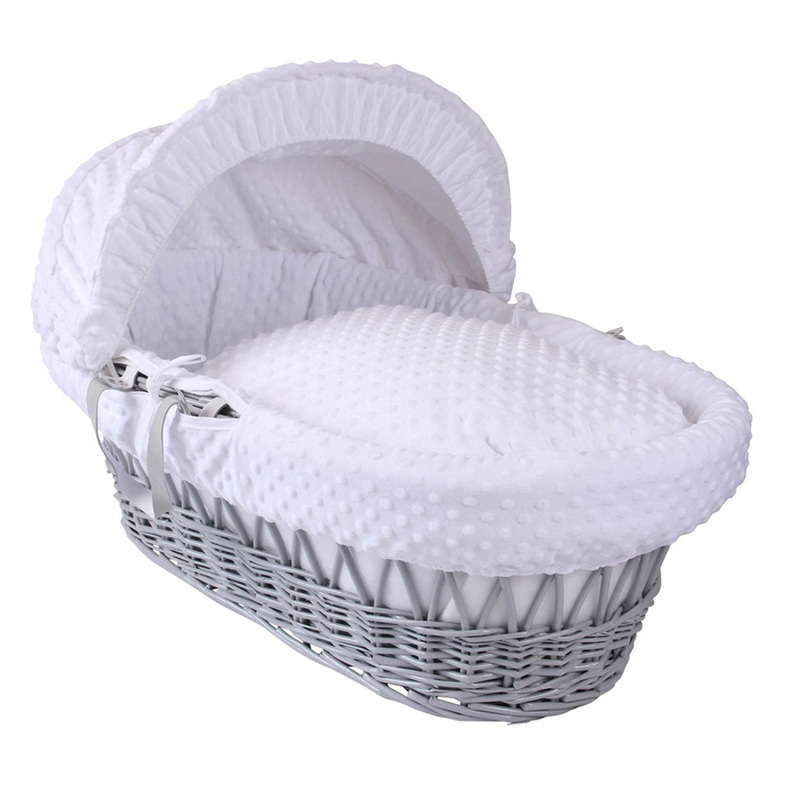 A sturdy and lightweight wicker Moses basket loving dressed in the UK with the super soft, plush dot Dimple fabrics that create a super cosy for your baby to sleep. 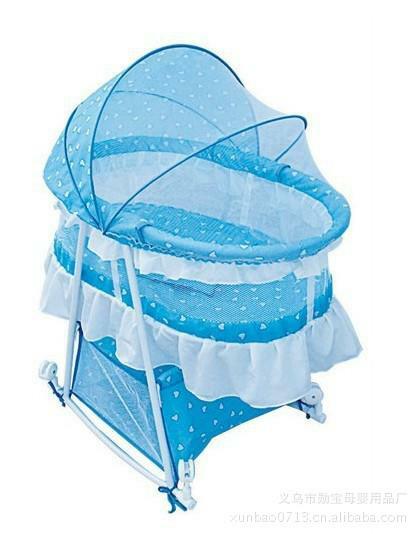 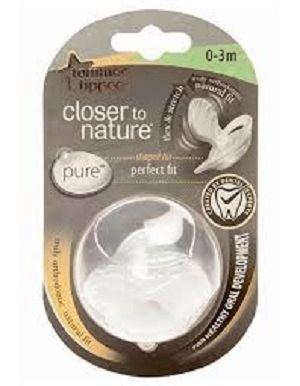 The basket features an adjustable hood so you can easily keep bright sunlight out of sensitive eyes and off delicate skin. 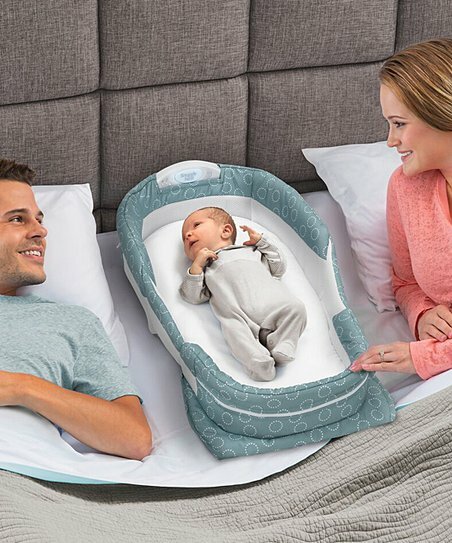 Comes complete with a hood, padded liner, mattress and two carry handles.